Product prices and availability are accurate as of 2019-04-21 17:44:04 EDT and are subject to change. Any price and availability information displayed on http://www.amazon.com/ at the time of purchase will apply to the purchase of this product. Upgraded professional design enhances the ability of pre-season scouting or game surveillance by hunters. Your garden is full of mystery and may attract certain cute wildlife every night. Try to find them and open a brand new world. Lots of fun. 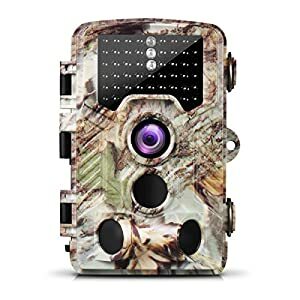 Trail/game cameras also can be helpful for animal loss/rescue in documenting the presence and species of animals. Detailed manual is provided for easy understanding. Should you have further query please feel free to contact. Our friendly tech support promise to answer within 24 hours. With innovative technology and international certificates including FCC, CE, ROHS, Ailink game camera is protected by 12 months warranty. Storage Card Operating Temperature: -20? ~60? 1. Batteries and SD/TF card are not included. Please use 6v charging cable for rechargeable batteries. 2. Please secure each part of the game camera to a secure fixture for safety of other people during the shoot. 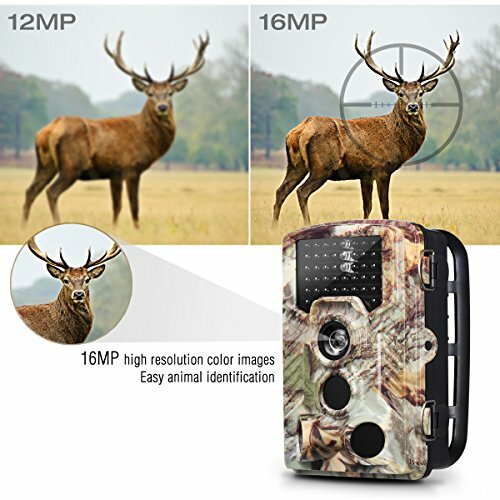 HIGH RESOLUTION IMAGE AND VIDEO: The game camera records 16MP clear images and 1080p HD videos (programmable 3s-10m) during both day and night, which makes animal identification easy. 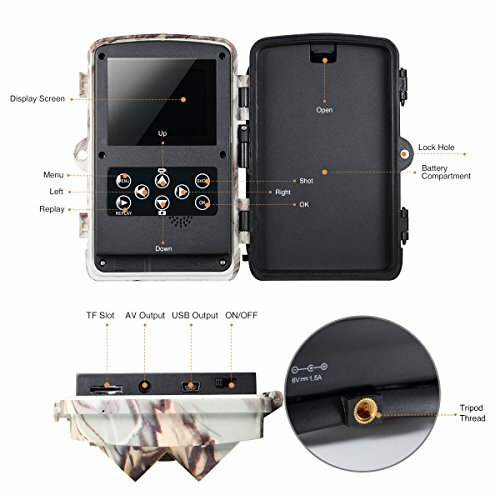 Support 2.31" LCD display, time lapse(5s-60m), timestamp (date, time, temperature), sound, timing video, photo/video/photo + video shooting mode, continuous capture modes and flexible PIR sensitivity. Ideal for garden wildlife watching, pre-season scouting or game surveillance. 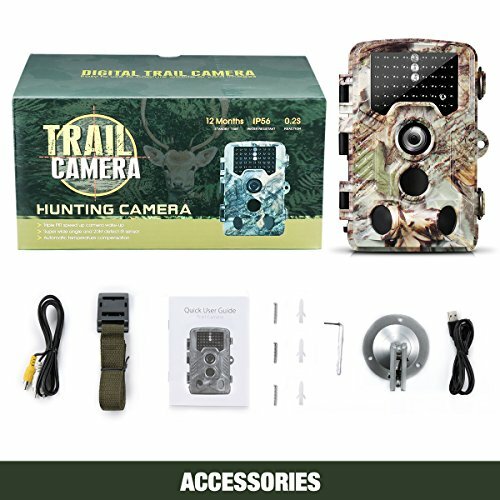 ULTRA LONG RANGE AND SPEEDY TRIGGER: The trail camera functions day and night by sensing game out up to 65 feet. 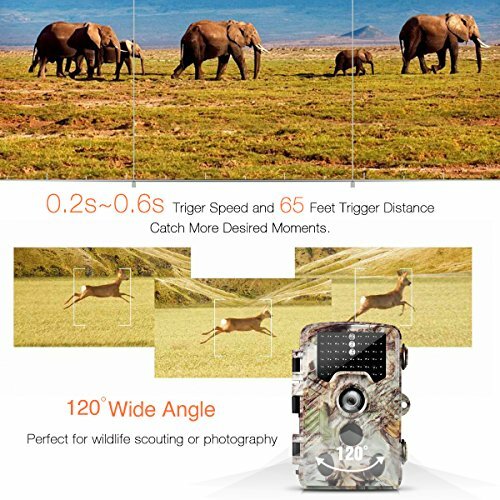 Impressive trigger speed 0.2s-0.6s (Pre-boot 0.2s) ensures no more delay recording all necessary information as soon as motion is sensing no matter you are hunting or scouting. UPGRADED INFRARED NIGHT VISION: Equipped with 46 pcs 850nm IR flash LEDs, the hunter is able to discreetly image game clearly in the night without a visible flash and any nighttime motion blur. 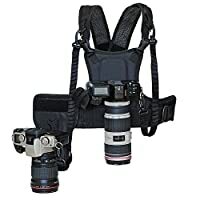 This prevents the flash from alarming the animals or giving away the hunter's' position in popular hunting areas. Wider PIR detection angle (Main 100° + Side 120°) means easier and more accurate detection for movements around. 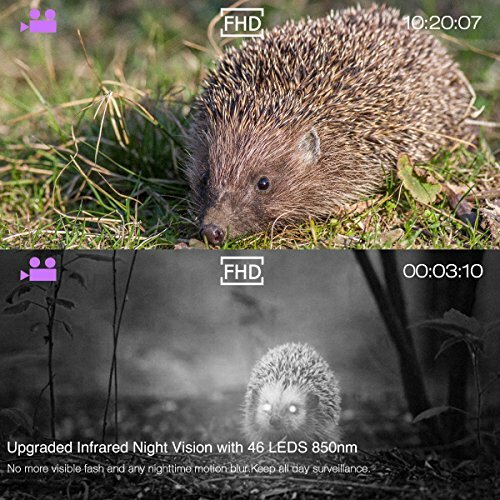 LOW POWER CONSUMPTION: To adapt to different practices, the game camera is designed as energy-saving. Powered by 8 x AA batteries, the standby time reaches about 8 months. No more worry about changing batteries during long-term scouting. Support SD/TF card (class 6 above) up to 32GB for which you can conveniently transfer the images to a home computer or they can be viewed, copied and deleted by a Viewer in the field. RELIABLE PROTECTION: The spray water protected level is waterproof IP56 for which the game camera is flexible to resist most bad weathers. Internal digital lock password and external lock hole are available in case it is noticed by other hunters. 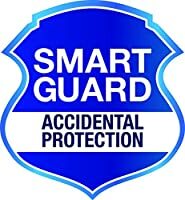 With international certificates including FCC, CE, ROHS, Ailink game camera is protected by 12 months warranty. Excellent tech support is guaranteed and all queries will be responded within 24 hours.